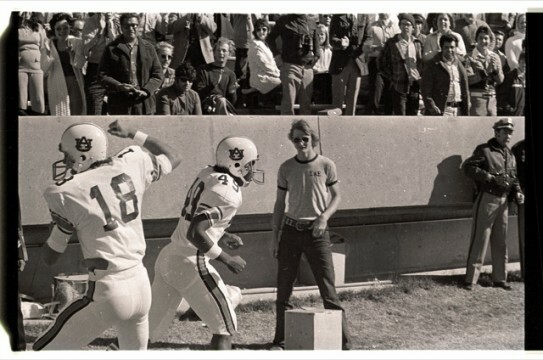 It’s Auburn vs. Missouri in the SEC Championship Game. I really enjoyed typing that sentence. 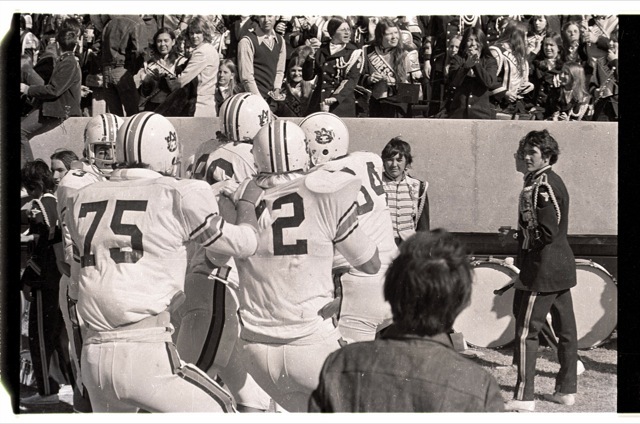 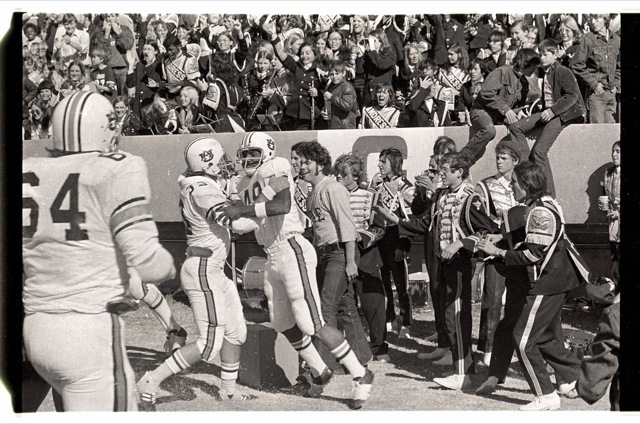 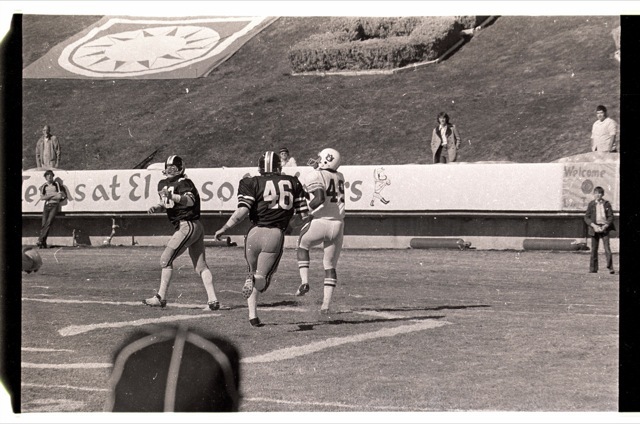 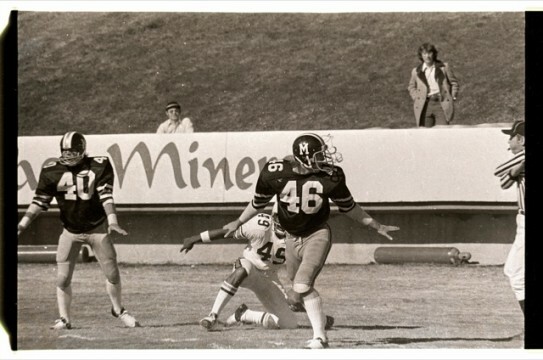 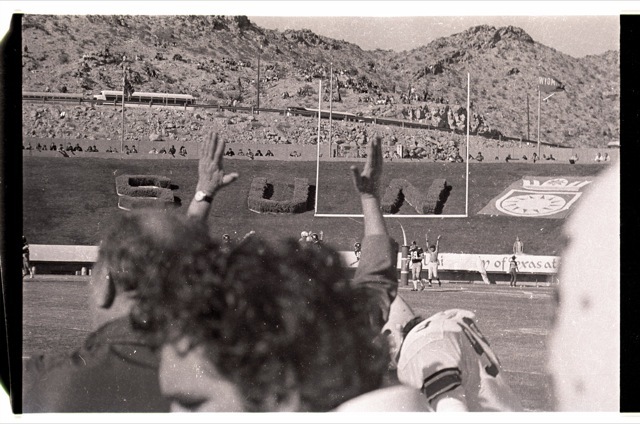 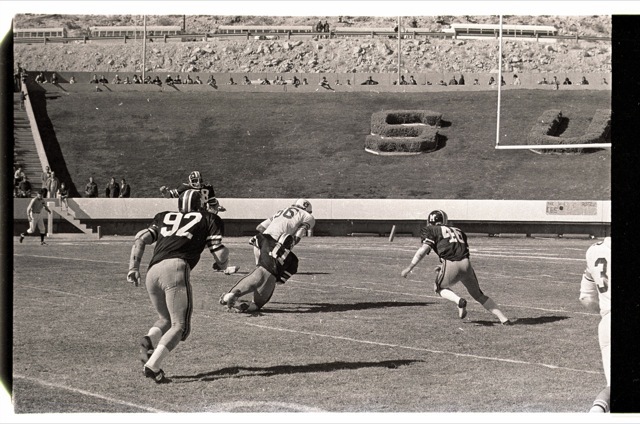 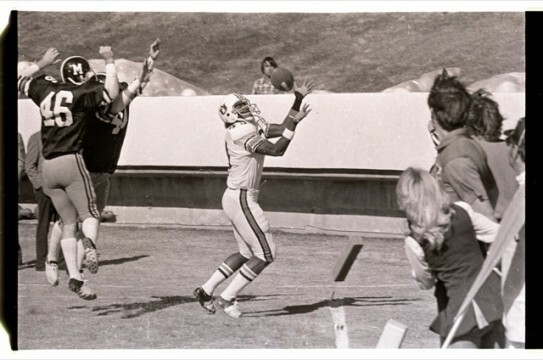 Here are some never-before-seen photos (you know-how-we-roll) from the 1973 Sun Bowl played December 29 in salsa-soaked’ El Paso, Texas. 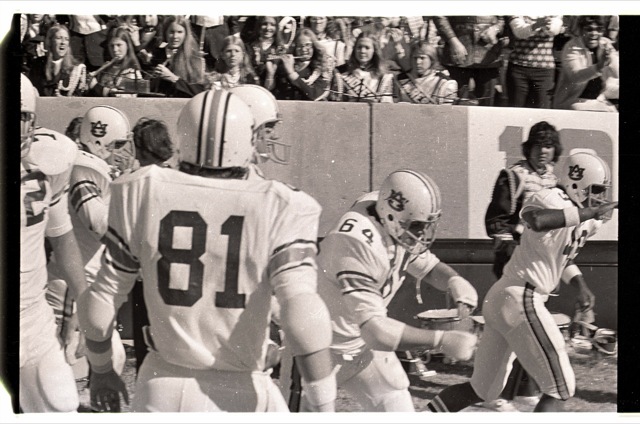 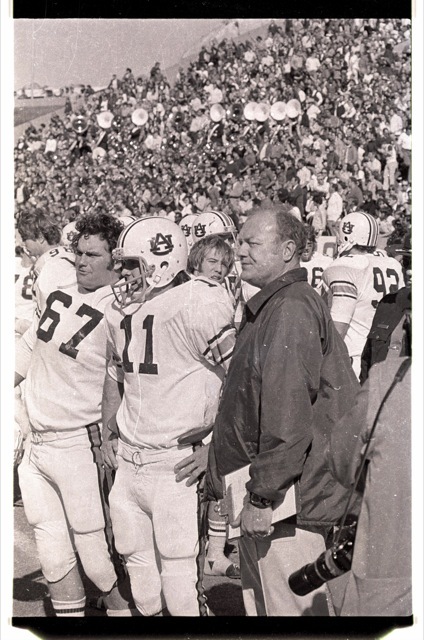 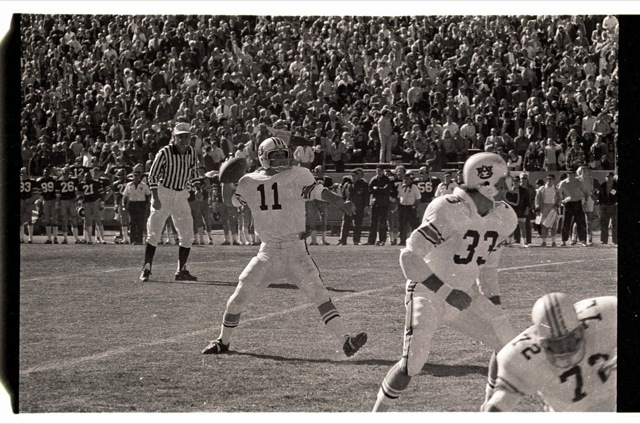 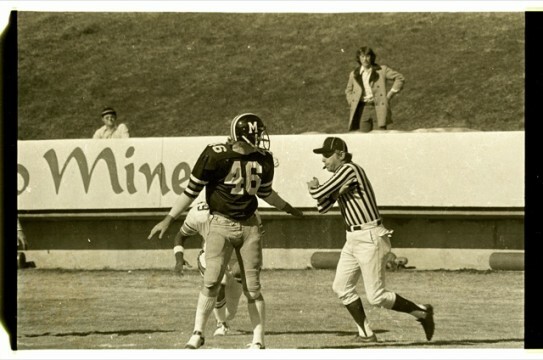 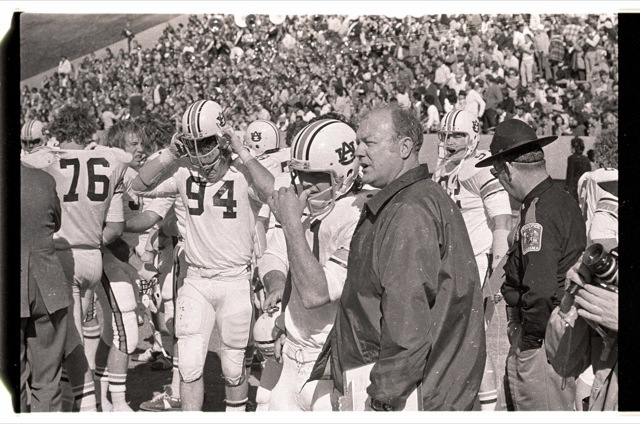 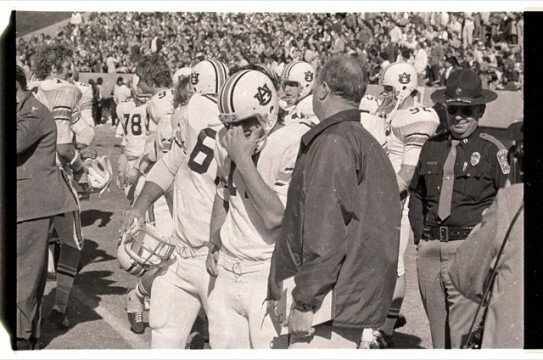 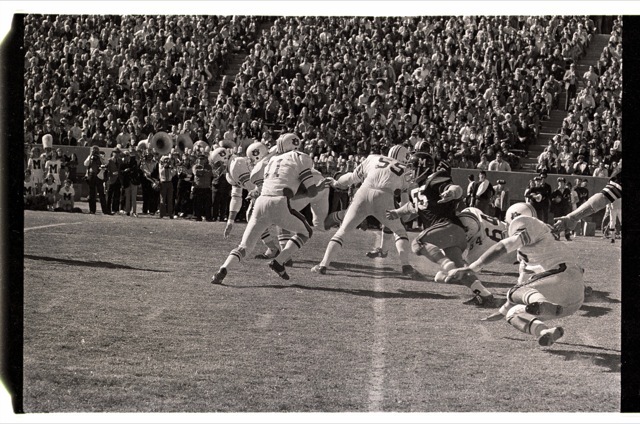 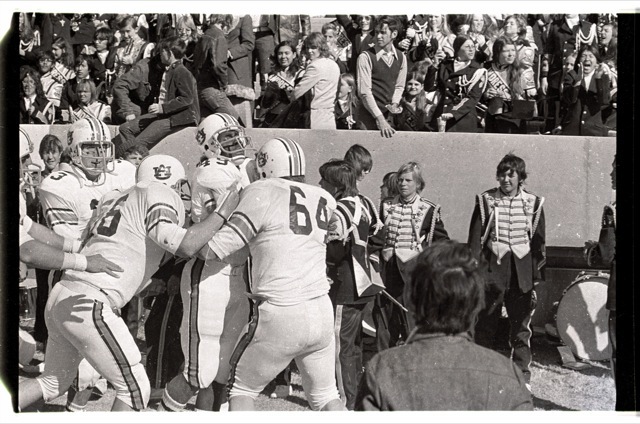 It was the Auburn Tigers’ first and only game against the Missouri Tigers. 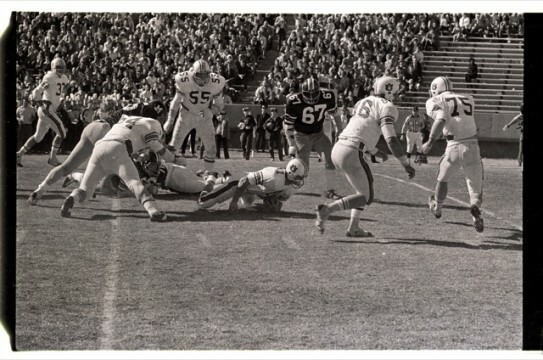 We lost, 34-17. Alas. 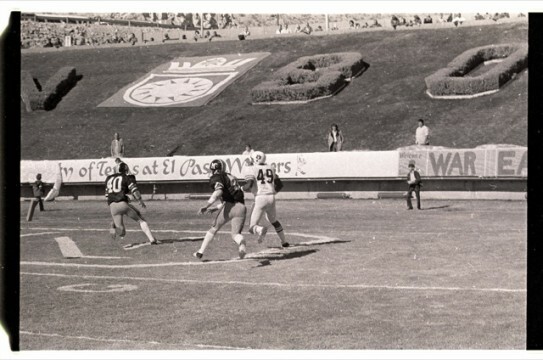 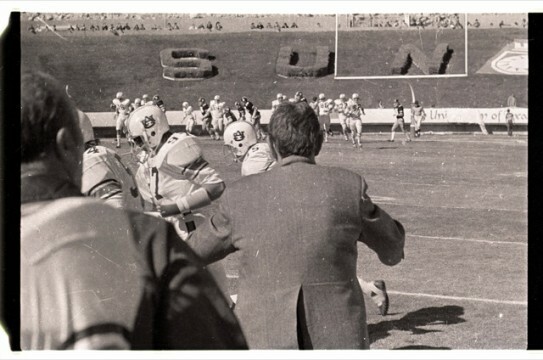 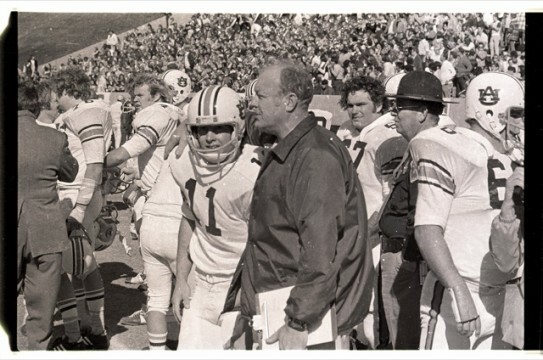 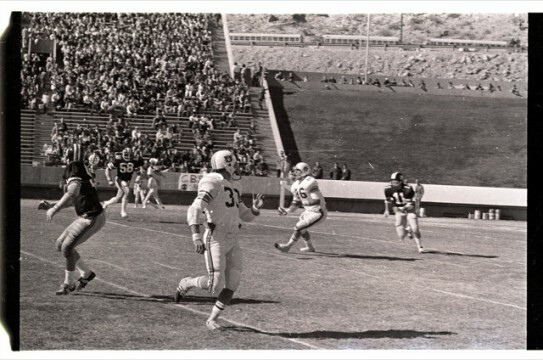 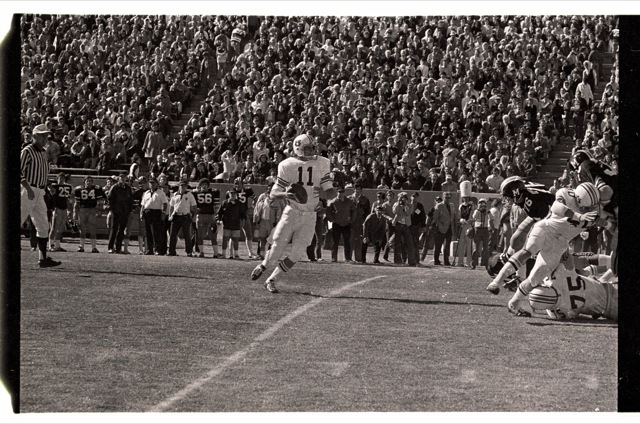 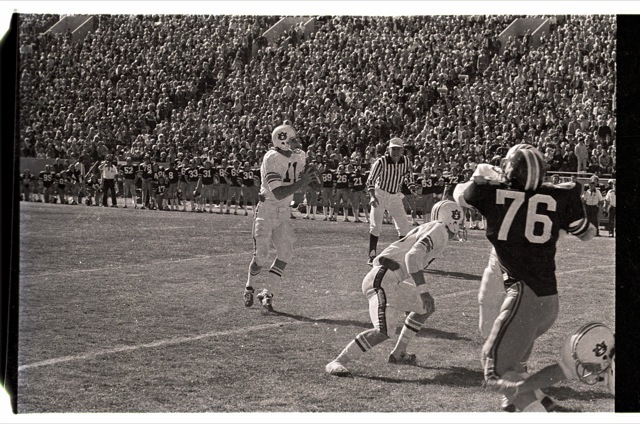 The game was televised nationally by CBS, kickoff was at noon. Mizzou was favored by seven points. 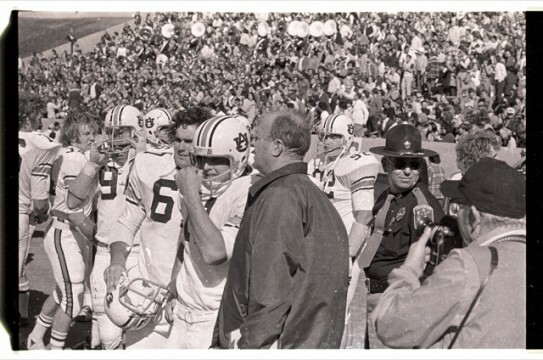 Both teams flew into town the day after Christmas. Auburn gave up four fumbles and an interception. Tight end Rob Spivey broke his leg. 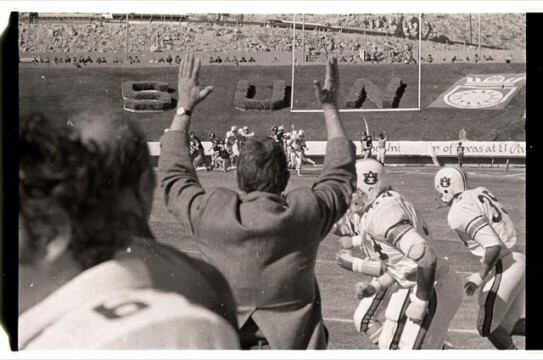 Stay tuned for tons of never-before-seen photos of some old Auburn-Florida State games. 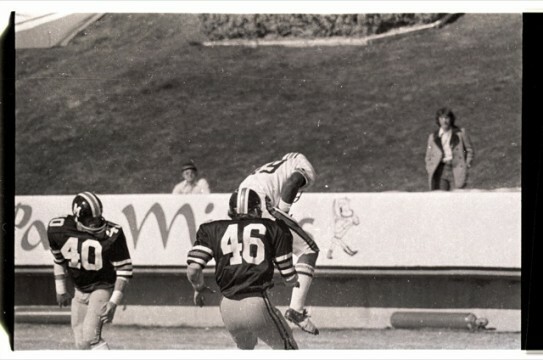 Related: Coeds with Watermelons in 1973. First published: Sept. 21, 2011. I know this was posted a few days ago but my uncle played in this game. Did they have orange facemasks at this time? BTW We did play Missouri in the SEC Championship game last year. 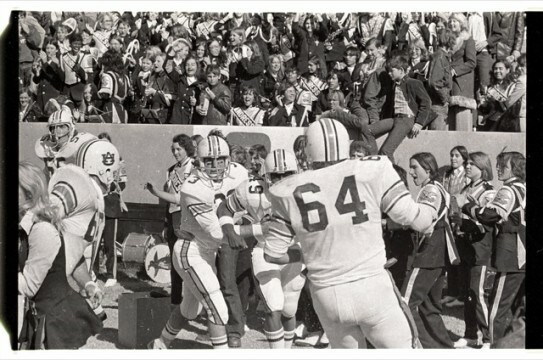 Posted it before the game.